I think back here more means “back into the world of Rokkenjima.” I haven’t been here before, no. And, ah. Victoria. I visited Melbourne, a year or two ago, which was pretty nice! Hello! I’m Taco, I recently finished the eight episode of Umineko’s manga last night! I work full time and come fall will be going to school for respiratory therapy. I live in Florida over in the states. I have read the entirety of Higurashi; However Umineko has solidified itself into my soul as one of the most beautiful and tragic romances I’ve ever read. I would be lying if I said I didn’t weep like a child. I’m looking forward to talking to you all about the upcoming new project! Welcome! I hope you will like it here! Welcome to Rokkenjima, @Taco_Tacito! I must say, I’m a fan of tacos, so I think that’s a sign we are destined to be friends! If I may be the first to ask, how exactly did you find our cozy corner of the internet? Were you looking for more Umineko content after finishing the manga? Well, we have plenty of Umineko to go around for everyone! Since you are a veteran, I recommend checking out our spoiler topics for each episode. That way you can talk all about the magic of the later episodes without worrying about spoiling anyone! Of course, you can also talk all about those moments that made you weep like a child, your favorite scenes, your favorite characters, even the characters that you are most similar to! Of course, there are also spoiler topics for Higurashi, as well as a topic for the best scenes in Higurashi! Even if Umineko is more popular, Higurashi deserves love too! And if that isn’t enough for you, you can also check out our tea parties! So, the tea parties are where we all pick an 07th Expansion work and read it all together! Then we post all of our thoughts in the spoiler free sections, so that the newbies can try their skills at solving the mysteries! Our tea parties follow the Steam rereleases of Higurashi and Umineko! So far, we’ve covered episodes 1-4 of Umineko, episodes 1-5 of Higurashi, and the newly translated Higurashi arc, Someutsushi! You can follow along by reading the spoiler free topics, or by listening to our lovely podcasts (which you can help host)! I really think listening to/reading our crazy theories is the best way to see Rokkenjima for the crazy and amazing place that it is. Our next tea party will likely be on Higanbana! At the moment, we are taking a break from the tea parties, so now is a great time to catch up on past tea parties! You can also check out lesser known 07th Expansion works like Rose Guns Days, When the Game Ends, Iwaihime, TRianThology, and Hotarubi! Of course, there are other things to do here too! You can share your VNDB list, your manga collection, your MyAnimeList, your MBTI type, your astrology sign, your favorite kind of pizza, your hobbies, your favorite books, your favorite movies, your pets, even your favorite kind of caffeinated beverage! I really hope you enjoy it here at Rokkenjima! There’s a little bit of everything for everyone, so I’m certain you’re gonna find something to love here, and make some friends over some mutual interests! Welcome to Rokkenjima by the way, we hope you have a nice time here! Thank you for all the suggestions! I’ll definitely check it all out. I’m a bit late, but It’s always great to have new members of this community. Welcome aboard. I’ve been meaning to join this community for some time now, but better late than never, right? Anyway, I’m a 23 year old Computing student from and living in London, England. Some of you may recognise me from my involvement in the English language translation of the Higanbana no Saku Yoru ni visual novel. Fun fact: I just ran the numbers, and I can say that, between August 2016 and July 2017, we have received over 1,400 downloads. Considering our translations been out for a few years now, I’m glad so many people are still checking out Higanbana for the first time! I first became aware of 07th Expansion in 2008 or 2009 when a friend of mine tweeted a positive comment about the music from something called “Higurashi”. My curiosity was piqued, so I hopped onto Wikipedia to find out more. I didn’t really understand what it meant by a “sound novel”, but as a fan of mystery stories, the premise appealed to me. However, I learnt that it was in Japanese only. At the time, my Japanese knowledge was virtually non-existent, so I closed the browser tab and carried on with my life. My first foray into visual novels came when, in 2010, I read this article on Destructoid about Kira Kira, which was translated by MangaGamer. I thought it sounded interesting, so I gave it a try. Though I would later try Kira Kira again much later and love it, it didn’t appeal to me the first time round. Even so, it introduced me to visual novels and, crucially, MangaGamer, whose website I decided to check out. Whilst browsing MangaGamer’s website, I noticed an entry called Higurashi When They Cry. This rang a bell for me. Could this be the same Higurashi I had wanted to check out but had been unable to because of my lack of Japanese ability? Naturally, it was. In the time since I had first learnt of Higurashi, MangaGamer had started translating the visual novels. I gave it a try and instantly fell in love with it. After reading the Higurashi visual novels, I read the Umineko visual novels. Again, I enjoyed them immensely. I also watched both the Higurashi and Umineko anime, which I have mixed feelings about. When I learnt about a project to translate Higanbana, I offered to lend a hand, and the rest is history. I have since read Rose Guns Days, though I have yet to experience Trianthology. Whilst my Japanese has improved a fair amount over the years, reading Japanese novels is still a slow process for me, so that has put me off slightly. Even so, perhaps I will attempt it as some point. Higurashi is still my favourite 07th Expansion story, perhaps because it was the first I read, but likely moreso because the message of the importance of friendship resonates deeply with me. It completely changed my outlook on life and, in a way, has made me a happier and more positive person. 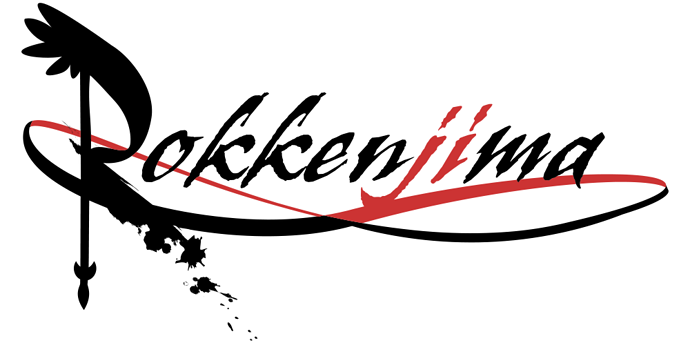 To answer the couple remaining prompts, I found Rokkenjima through @Aspirety, who mentioned it to me some time back. I have to say, this looks like a fantastic website. I’m glad there is a place collating new information about 07th Expansion. It’s a big help for someone like me who has been out of the game for a while. Outside of 07th Expansion, I enjoy programming, playing video games, reading books, listening to music, watching films and TV, and learning Japanese. I think I’ve written far more than I originally planned, but anyway… It’s good to meet you all, and I look forward to being a part of this fantastic community! Welcome to the forum Yirba! And thank you so much for your work on Higanbana, I loved the fan-translation. I read it the day it was released, I’d been keeping an eye on it for ages. It was really well done, I didn’t come across any problems with it at all. It’s great to finally have you Yirba! I’m overjoyed that you decided to join us. I can’t wait to experience your translation of Higanbana very soon! Thanks for the welcome and for the kind words. I’m glad you liked our translation. To be honest, there were moments when I seriously doubted our translation would ever be complete, but we put in a lot of work to ensure it was of a high quality, so I’m happy to hear it paid off. Well someone I sorta know, or at least know of, since a very long time. You were involved in the English translation of Higanbana? That’s awesome! I cannot understand any Japanese, so without the fan-translation I would have never been able to experience it. Thank you so much for helping translate Higanbana into a language I could understand! The best way to get involved around here is to hop into our tea parties! The tea parties are basically giant book clubs, where we all read an 07th Expansion work and then talk about it! You’re in luck, as our next tea party is actually going to be Higanbana! It will be starting very soon, so you might want to check out the topics about it, which are separated by chapter and by night. That way people who have only read the first chapter of the first night don’t have to be spoiled about the stuff that happens later on in Higanbana! Of course, there is also a Higanbana general topic where you can just talk about your general thoughts and feelings about Higanbana. Since we haven’t quite started Higanbana yet, now is a great time to catch up on our past tea parties! So far, we’ve covered arcs 1-4 of Umineko, arcs 1-5 of Higurashi, and the newly translated Higurashi arc Someutsushi! You can check out the discussion on these by reading the spoiler free topics on them or by listening to our cute little podcasts (which if you want to help host, you can). And just because these tea parties are technically finished, that doesn’t mean the discussion has to end! Since you are a veteran for both Higurashi and Umineko, I recommend checking out the spoiler topics for them! You can also talk all about the your favorite characters, the characters you’re most similar to, your favorite scenes for both Higurashi and Umineko, and of course, the moments that made you cry! And if that isn’t enough, you can also check out the lesser known 07th Expansion works like Rose Guns Days, When the Game Ends, Iwaihime, TRianThology, and Hotarubi! Of course, Rokkenjima has other stuff too. You can talk all about Kira Kira and your other favorite VNs, share your VNDB list, listen to some of our members sing “You” from Higurashi, talk about video games, talk about books, talk about music, talk about your favorite movies, talk about your detective theme, talk about astrology, show off your merch collection, even show off your talents! There is a lot to do here, and I’m sure you’re going to make a lot of new friends! I’m glad you decided to join in our community! And thank you again for all of your hard work. I’m sure with the Higanbana tea party starting soon, even more people will download the fan-translation of Higanbana (I hope we push the number of downloads over 2,000)! Hello, and thanks for all those links. I’ll be sure to check those out. I didn’t want to blow my own trumpet, but though my involvement in the Higanbana translation was initially quite small, it gradually increased with me first becoming editor, then eventually taking over as project manager from Ronove, who started the project. That’s a much more grandiose title than it ought to be, though; my responsibility was mostly to offer moral support and keep the project on track, as well as doing whatever small jobs I thought needed doing. None of it would have been possible without our talented translation team, of course, and everyone else who contributed. So huge props to them. Anyway, I’m glad you were able to experience Higanbana with the help of our translation! I hope even more people enjoy it through the upcoming tea party. Just to clarify: 1,400 is only the number of downloads from the past 12 months. We only started counting downloads in October 2012, but the total number of downloads since then is over 10,000. Not bad, I think! Oh wow. Thank you for your contribution to the Higanbana translation. Hope you enjoy the community here~.